Dhunji S. Wadia, President, Everest Brand Solutions – a renowned ad man was at MET Institute of Mass Media for a guest lecture and an interactive session. Students had a great learning experience as he shared real life cases. 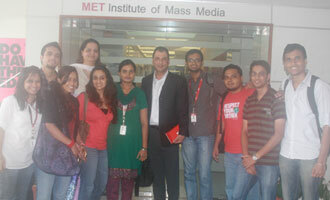 “It was an insightful session with the person who has over 2 decades of rich advertising experience” said a student.